BRYAN EATON/Staff photo. 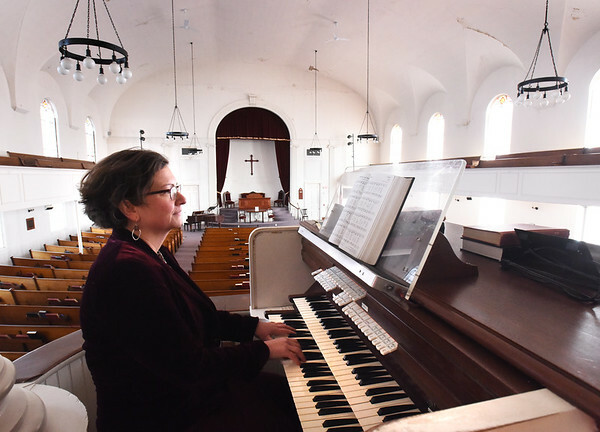 Andrea DeGiovanni, the music director of the Belleville Congregational Church in Newburyport, at the keyboard of their 150 year-old organ. The church is having a fundraiser to renovate the organ and make repairs to the ceiling of the sanctuary.